Q&A: C5 Alum Brad Woodard on His Kickstarter for "Tatay’s Gift"
“Do good work” and Be good to each other are two of our Five Columns, so when we heard about a new project from talented designer and C5 alum Brad Woodard that combines both, we were eager to lend our support. Here, Brad tells us more about the Kickstarter he and his wife, Krystal, recently launched to fund their children’s book, Tatay’s Gift. What inspired you to create Tatay’s Gift? When Krystal and I first heard about Typhoon Haiyan hitting the Philippines, we felt pretty helpless. It really hit home because I lived there for a couple years. A natural disaster couldn’t come to a harder working, more giving people. We wanted so badly to help those people in some way, but our singular donation didn’t feel like enough. Seeing other creatives using their talent to help raise funds for causes inspired us, and we started thinking in that way. Beyond just providing aid to those in the Philippines, we set our sights on teaching the next generation to care about others and give like we have. We realized that we had complementary talents; Krystal is a talented writer, and I’m a graphic designer and illustrator. We are also parents, and we wanted to use this opportunity to teach an important lesson about giving. 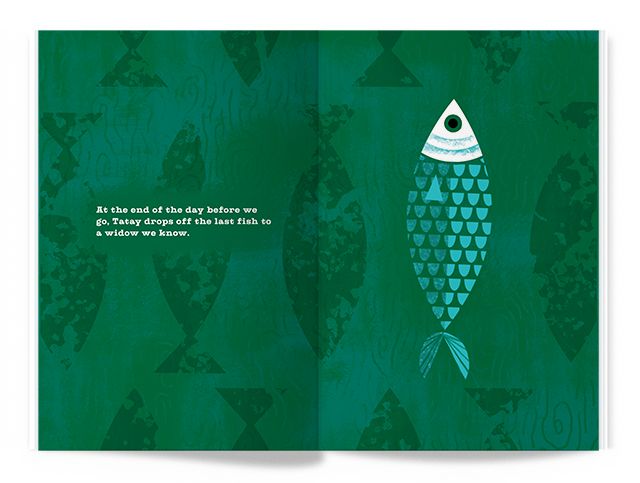 So, we decided to make a children’s book. There aren’t enough positive influences out there teaching kids universally good morals. Also, writing a children’s book has always been on our bucket list to do together. If this book does well, we’re thinking of starting a series of similar books. 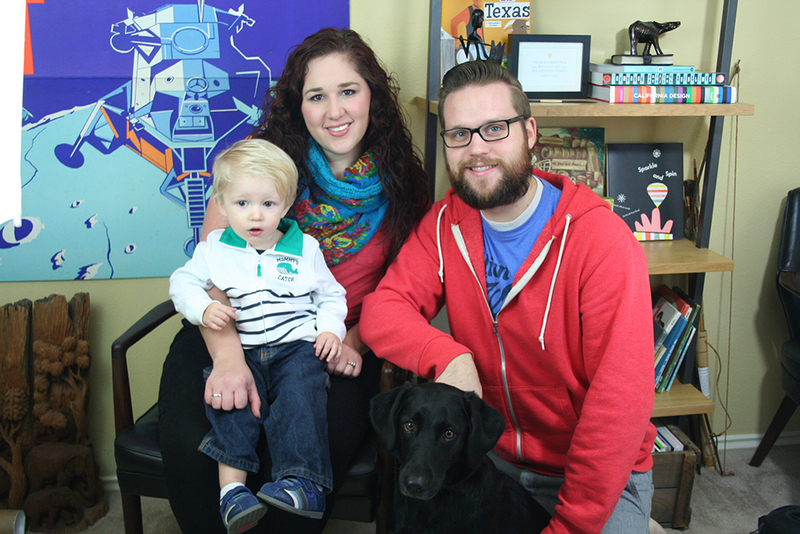 Brad, Krystal and their son. Tell us about the story and artwork. The story is about a young Filipino boy who goes to work each day with his “tatay” (the Tagalog word for “dad”). 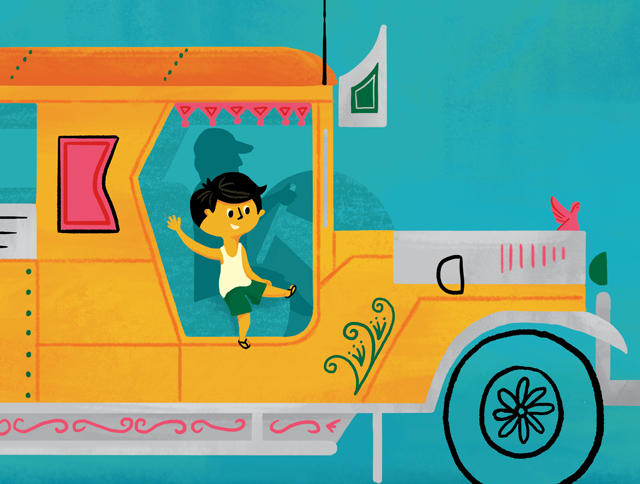 The boy and his tatay do a different job each day of the week, from selling popsicles by the beach to driving a jeepney through the city. As they work, the boy learns the lesson of serving and giving to others by watching his tatay. The artwork is all hand-rendered using a Wacom tablet in Photoshop. The bright, vibrant colors and loose textures are a nod to the beautiful landscapes of the Philippines. 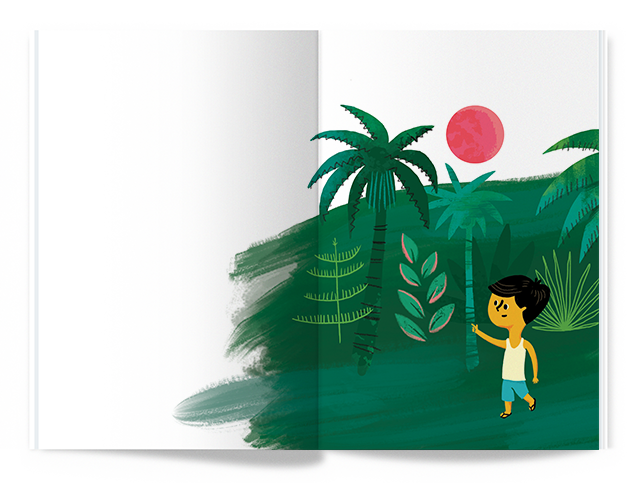 The characters, story and artwork are all based on by my experiences in the Philippines. I met wonderful people there. I was especially inspired by one family I met while I was living in Naic. They had practically no material possessions. They lived in a small shack on the beach, and tatay would take on all sorts of new odd jobs to make ends meet. But they were so happy just to be together, and they would literally give up their meal to let you eat. The coolest part of it all was that they weren’t odd for doing so. 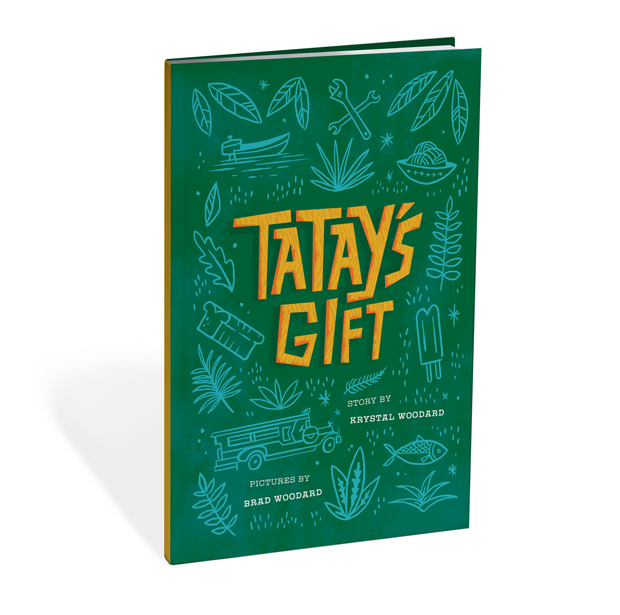 Tatay’s Gift celebrates the hardworking, loving, kind and giving attitudes of the Filipino people I grew to know and love. I want to inspire people to not only help them but to be like them. The risks and challenges are ongoing. The time we spend on the book takes more time away from our design studio (Brave the Woods). It’s a huge commitment, but we feel strongly about the cause and doing things that make us happy. We just hope we reach our Kickstarter goal. We’re optimistic, though, and are so grateful for those who have backed and spread the word about Tatay’s Gift. What do you hope readers get from Tatay’s Gift? It is really easy for people to stand idly by while terrible things happen to other people on the news—not to mention other people halfway across the globe. It’s because they don’t feel connected to them. Admittedly, we do the same thing. We may feel bad about what is happening, but we generally put the most effort into things we have a connection to. Our hope is that this book will showcase how truly generous, kind and hardworking the Filipino people are and spark a connection that makes people want to donate to help them out. Lastly, what do you miss most about C5? I miss (ginger) Beer Friday, ridiculous morning meeting questions, walking around barefoot and all my amazing friends at Column Five. The “Glory Days” of C5, if you will. Check out Brad’s Tatay’s Gift Kickstarter to learn more and donate.